Do you also think that a sustainable environment begins with yourself? 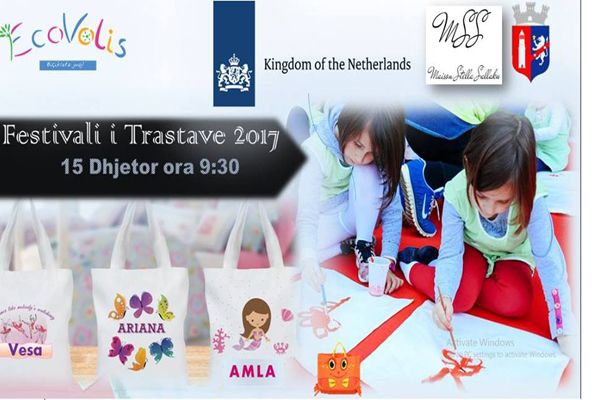 On Friday the15th of December, the Embassy of The Kingdom of The Netherlands in close partnership with Ecovolis and the Tirana Municipality, will organize the ‘’Clothing Bags Festival’’ at Qendra Kultorore TEN, starting from 09.30. The goal of this project is the involvement of school children and parents as active citizens for a sustainable future, because let’s face it, there is a health problem in Tirana. The usage of plastic bags in the city has strong impact on public health, environmental pollution and sustainable living. This initiative is dedicated to primary school children and the youth, but also aims to reach their parents, by helping them starting to use cloth bags made from recyclable materials. Cloth Bags were distributed to 7 different schools in Tirana, where the students could draw their message or idea regarding the protection of the environment. The chosen participants will compete in a catwalk, where each school will be represented by their three best cloth bag ideas selected through internal contests. There will also be an online competition where you can take part and send in your contribution. The winners will be announced by a jury of professionals, who will have a prize for the top 3 best ideas as well as for the online competition winner. You can send your design to: trastaonona@gmail.com. For more details you can contact the same address! It’s time to show some love for the nature!